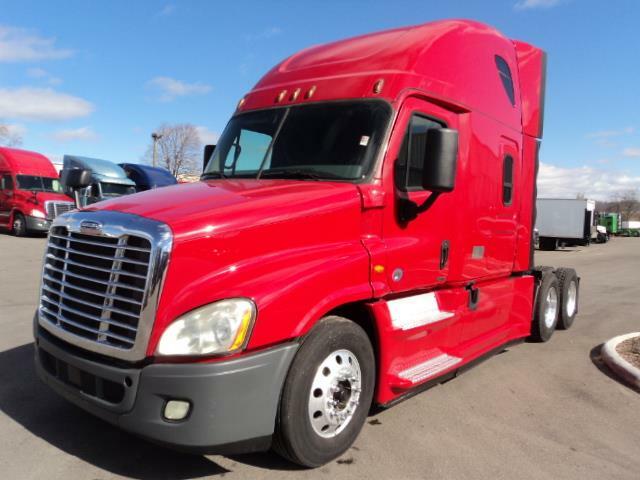 FLAMING HOT DEAL ON THIS RED HOT FL Put a driver in it. Drink coffee while driving through rush hour Cincy traffic at 5 o'clock and not wear out a leg. Worried about an automatic transmission? Why? Its 2019 and this truck is a 2016! Drive your automatic car here for a test drive and rive an automatic semi home. The DT 12 transmission is one of the best 2 transmission on the used truck market w a 750k mile warranty. Come find out for yourself! Fresh PM service, detailed inside and out, frame repainted, new DOT and backed w our power-train warranty!